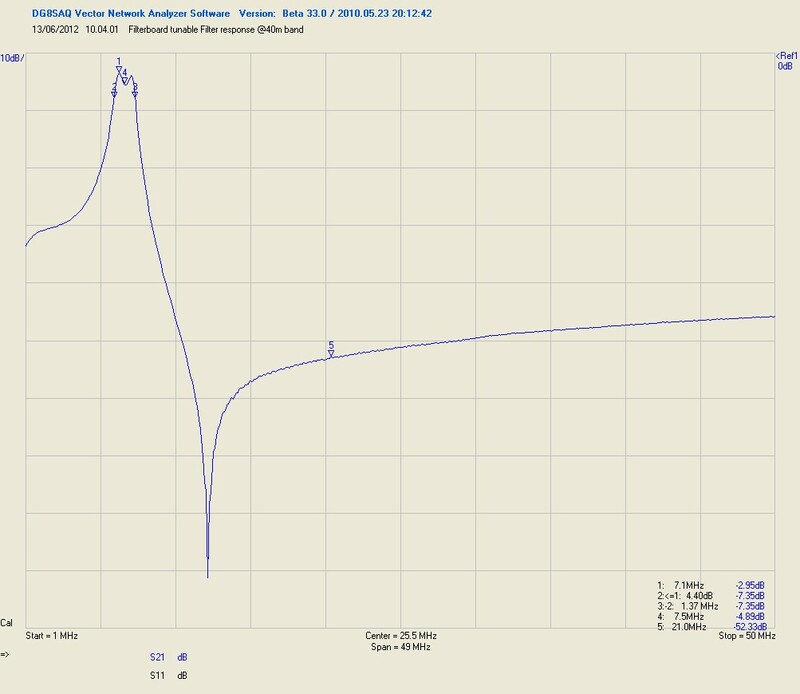 The tunable preselection filter have a high off-band attenuation, especially at 3th harmonic frequencies. 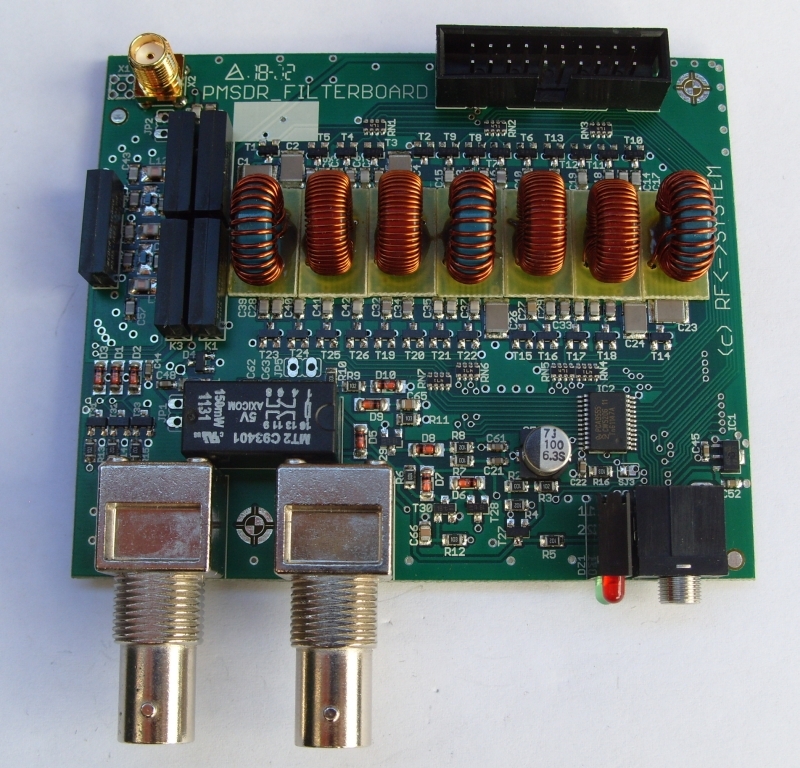 This filter is therefore particularly suitable for the listening on the lower HF, MW and LW band. 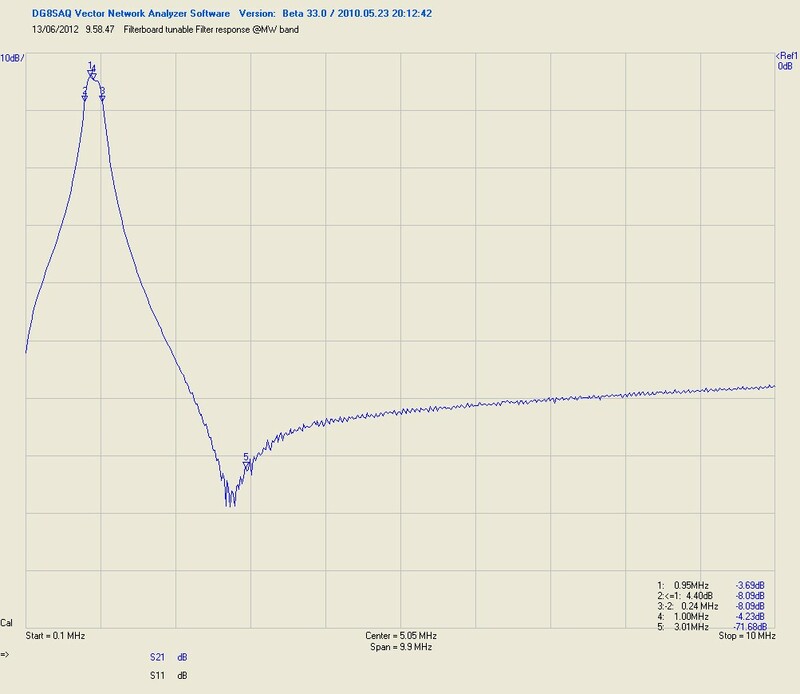 The tuning process is done full automatically by the DLL or firmware. Therefore is possible to use the filterboard also with the Si570-USB mode. The DLL permit also to tune this filter manually. Furthermore, this board have also a build-in automatic T/R antenna switch, which permit to use a transceiver on the same antenna with the PMSDR (like the Switchboard): Normally the antenna is connected to the PMSDR input. 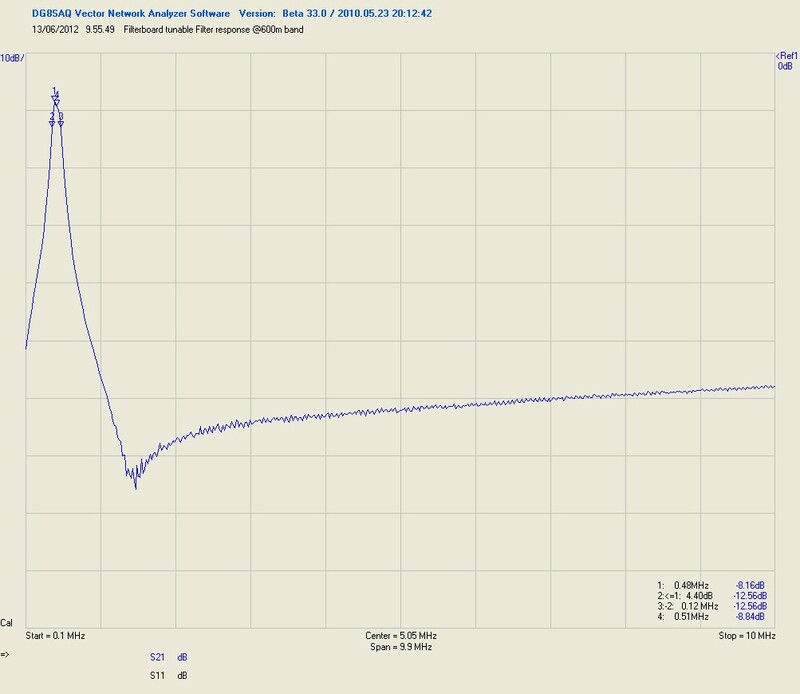 When it senses RF power on RTX, the antenna is connected to RTX input. There are available three operating modes: passive, manual and automatic mode. 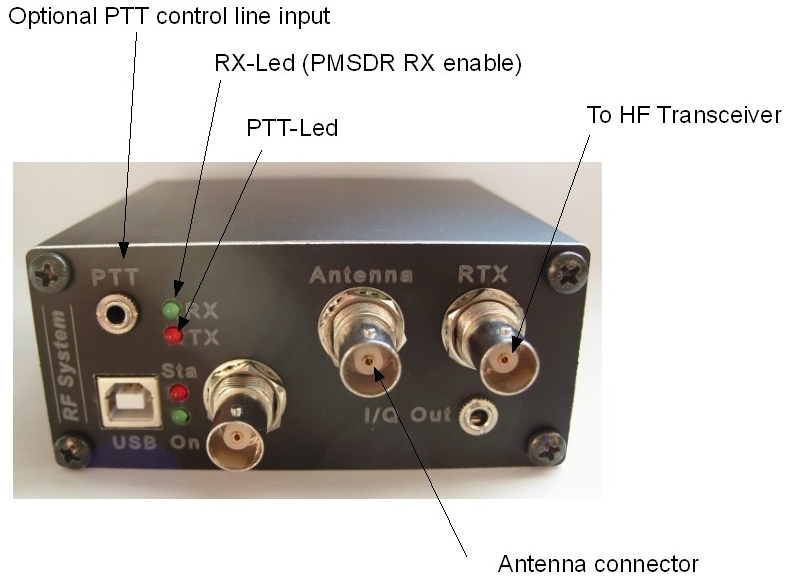 When the PMSDR is not powered, the transceiver is connected to the antenna to avoid transceiver damage. 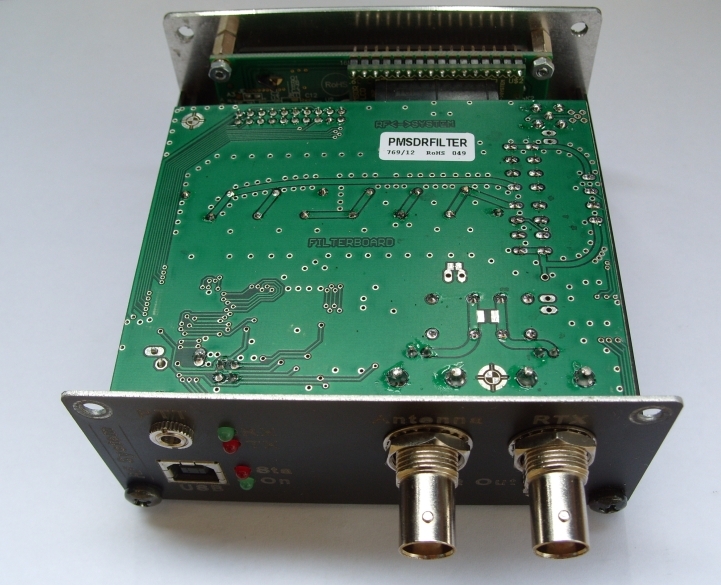 The Filterboard is powered from the PMSDR and doesn’t require any external power supply! 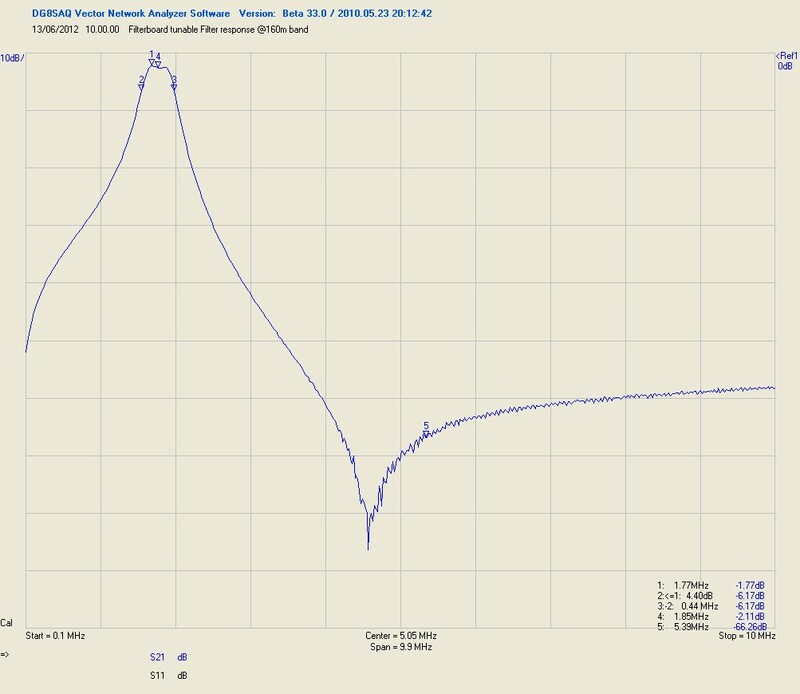 Use the PTT control line of your transceiver connected to the optional PTT control line input. By grounding PTT, RTX. 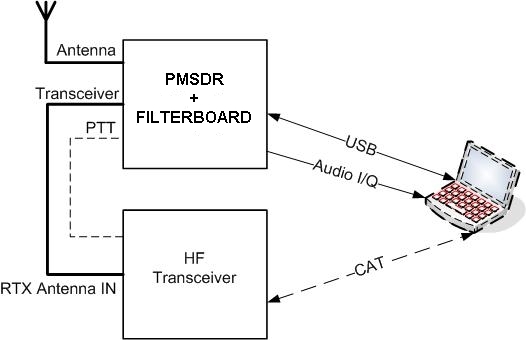 When the transceiver is connected to the antenna, the PMSDR RX input filters are disabled for a better isolation. 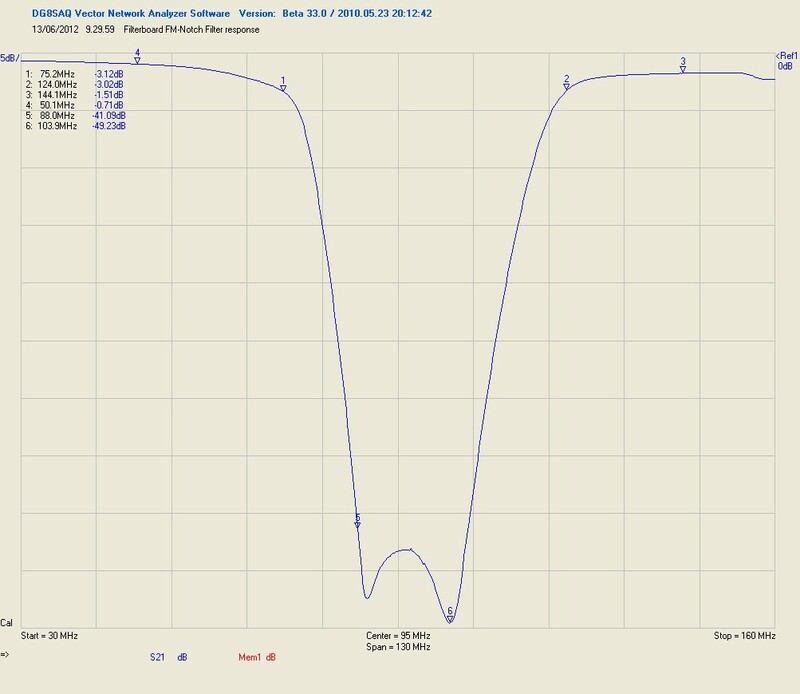 If PTT is open, the antenna is switched to the PMSDR RX input. Don’t use the PTT control line. 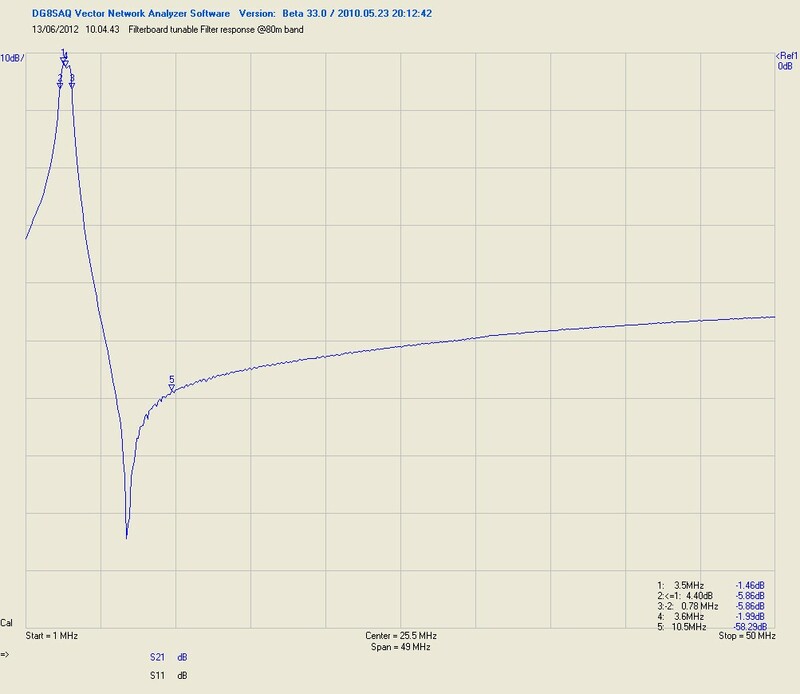 When the switch plug-in board senses RF power on RTX input (HF-VOX), it automatically switches transceiver to the antenna, otherwise the antenna is connected to the PMSDR input.